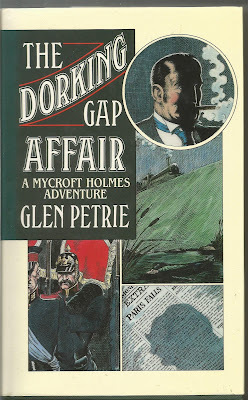 This isn't a bad idea for a series which features Sherlock Holmes's older brother Mycroft. Well, it shouldn't have been a bad idea but unfortunately this Mycroft is as dull as dishwater. Even a Russian princess putting an appearance fails to liven things to make this a satisfactory mystery. It doesn't kick off let alone come to a climax.